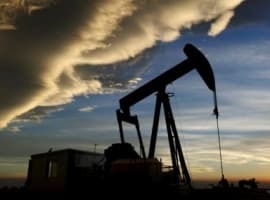 Saudi Arabia is following through on cuts to its crude oil exports to the United States, weekly EIA crude import data show, after Riyadh stated a couple of months ago that it would purposely reduce exports to the U.S. to force a reduction in the world’s most transparently reported inventory. According to EIA figures, U.S. crude oil imports from Saudi Arabia averaged 524,000 bpd in the week to July 14, the lowest weekly level since June 11, 2010. In the week to July 7, U.S. imports of crude from Saudi Arabia averaged 851,000 bpd. Weekly import numbers are volatile due to the timing of crude tanker arrivals and customs clearance, Reuters analyst John Kemp recalls. Nevertheless, the latest available weekly import data is the lowest level of weekly Saudi crude imports in more than seven years. The four-week average U.S. imports of crude oil from Saudi Arabia was 810,000 bpd for the four weeks ending the week to July 14 – and this was the lowest 4-week average import figure since January 2015. For the month of July, the Saudis were planning last month to cut exports to the U.S. by around 35 percent. As early as in June, the U.S. started importing Iraqi oil at a rate of 1.1 million bpd to replace the export cuts announced by Saudi Arabia, figures compiled by Bloomberg showed. Over the past few weeks, the EIA has been reporting draws in crude inventories, and this week’s draw of 4.7 million barrels put U.S. commercial oil inventories at 490.6 million barrels, within seasonal limits, which wasn’t the case six months ago.